USARS Indoor Speed Skating Nationals, Day 1, Tiny Tots, Master Men Heats, Semis Freshman, Elem. USARS Indoor Speed Skating Nationals, Day 2, Sprint Night! The National SpeedSkating Circuit, the professional inline racing league for the sport of inline speed skating, is excited to announce its return to the Cornhusker State on Saturday July 14, 2018 at 6:30 p.m. CDT for Event 30. The event will be held at the Speedway Village. The last time the NSC visited Lincoln, NE, was in July of 2017 when they hosted an unforgettable night of racing with nearly 500 spectators in attendance. The NSC sports league consists of the top 30 professional men and women inline speed skating racers. 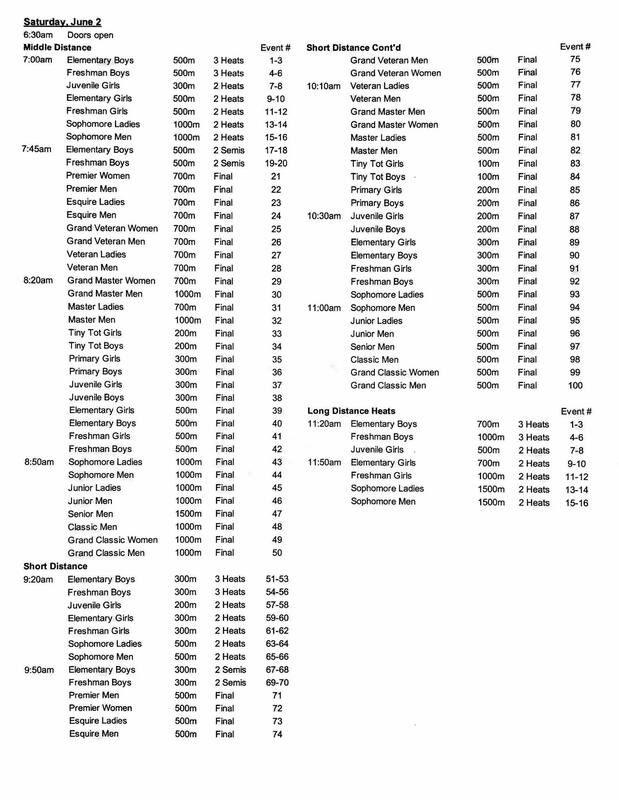 The women race distances ranging from 100m to 1300m and the men race distances ranging from 100m to 1600m. 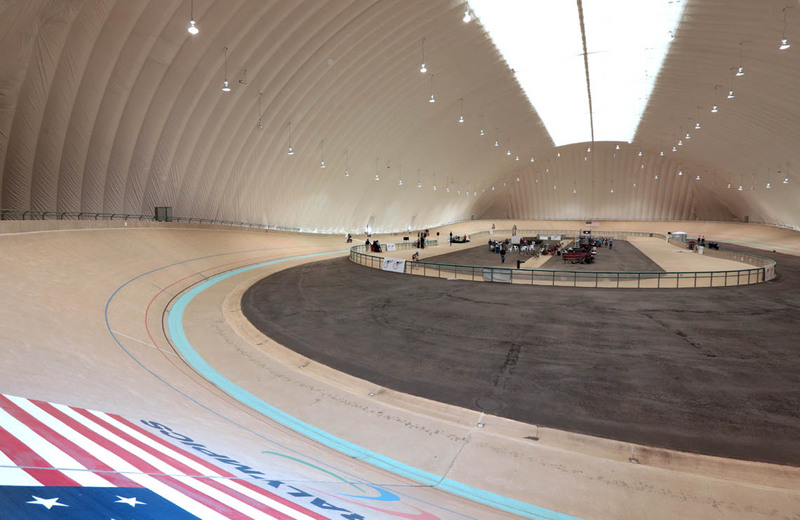 “If you are trying to get an idea of what an NSC event is like, picture track and field, except the racers are on inline speed skates, going much faster and they are not required to stay in designated lanes. This format of racing makes for one hell of a show,” said Miguel Jose, NSC President. Inline speed skating has a long history with the city of Lincoln. Lincoln has been the home of the amateur national governing body of roller sports (USA Roller Sports) for over 40 years. It also has been the host city of the amateur roller sports national championships 28 times. The decision for the NSC to host an event in Lincoln NE, stemmed from this rich history and Lincoln’s relationship with USA Roller Sports. In fact amateur inline speed skating national championships start the day after the NSC event in the same venue. “The NSC brought a lot to the National Championships last year, and I am happy that USA Roller Sports and the NSC are collaborating again this year. The event was super exciting, and I can’t wait to see what this year brings,” said Megan Schuller, Speed and Figure Coordinator for USA Roller Sports. “It’s hard to explain the excitement of an NSC event. It’s more intimate than other racing sports because the spectators are seated close enough to feel the wind the skaters generate as they go by. You’re close enough to hear the noise of every slip and crash that happens. It’s pretty simple; if you enjoy any type of racing sports, you will absolutely love watching the best inline speed skaters in the world duke it out over a 2-1/2-hour event,” said Kelly Springer, Inline Speed Skating World Team Coach. The road events will be run in the parking lot on the southwest side of the Citadel Mall at E Platt Ave. & Chelton Rd. Final Track Instruction/Observation for Regional Level 1 Primary, Juvenile, Freshmen & Masters during practice. ALL DIVISIONS WARM UP PRIMARY, JUVENILE, FRESHMEN, MASTER and WORLD CLASS. Current Weather forecast will dictate the start of day (“Road Course Opens”) as early as 6am or as late as 8am. Dependent of that time the schedule will be adjusted accordingly. Athletes should be prepared to compete in the rain, storm type, weather and snow will create a delay and possible utilization of the rain/weather day on Monday May 21st, 2018 for the Primary, Juvenile, Freshmen and Master athletes, and Tuesday May 22nd , 2018 for the World Class Athletes. ALL DIVISIONS PRACTICE-WARM UP PRIMARY, JUVENILE, FRESHMEN, MASTER and WORLD CLASS. Athletes. Current Weather forecast will dictate the start of day (“Road Course Opens”) as early as 6am or as late as 8am. Dependent of that time the schedule will be adjusted accordingly. Athletes should e prepared to compete in the rain, storm type. Weather and snow will create a delay and possible utilization of the rain/weather day on Tuesday May 22nd , 2018 for the World Class Athletes. Rain/Weather Day for the World Class Athletes. Welcome to the 2018 Battle In Seattle at Pattisons’s West Skating Center in Federal Way, WA. Thank you for your continued support of the Battle in Seattle, an event that has spanned three decades and continues to be one of the premier indoor events in the USA. The Pattison family is always thankful for the nationwide support we have received and continue to receive. We are looking forward to another epic year of racing!! March 9-11, 2018 at Pattisons West Skating Center in Federal Way, WA, home of Pattison’s Team Xtreme. Sunday morning is daylight saving time (DST). We will adjust the schedule accordingly to compensate for the lost hour of sleep. 90’ x 180’ Maple rotunda with fresh WP8 plastic. 8 skaters may be run on the starting line. Widely considered “Fastest floor in the nation.” Fastest official Lap time recorded is 8.28 seconds. We will clean the track regularly throughout the competition to ensure optimal skating conditions. Entries must be postmarked by Friday, February 23rd, 2018. Make one check payable to Pattison’s West. Please use our sign-up spreadsheet and relays forms. Electronic format available (XLS). On I-5 take exit 142B. Turn right at Denny’s restaurant. Go 3/10 of a mile, rink is on your left side. Light grey building with a blue strip around the top. A block of rooms has been reserved at the Hampton Inn for March 8, 2018 – March 11, 2018. The special room rate will be available until February 19th or until the group block is sold-out, whichever comes first. *Coaches, please use your discretion when determining a skater’s ability to do the 4 person draw relay. This is for the safety of all teams. *Skaters will draw cards to determine position. Prize money to be awarded, determined by the number of participants. First, second, and third from Elite Freshman and below qualify for the 10 laps race. All 3 placements will receive a premium podium metal. Winner receives top of the line Vie13 Grand Champion Battle in Seattle skin suit and a $100 cash prize. First, second, and third from Elite Sophomore through Senior, qualify for the 15 lap race. All 3 placements will receive a premium podium metal. Winner receives top of the line Vie13 Grand Champion Battle in Seattle skin suit and a $100 cash prize. First, second, and third from Elite Classic and above qualify for the 10 laps race. $100 to the winner. All 3 placements will also will receive a premium podium metal. Winner receives top of the line Vie13 Grand Champion Battle in Seattle skin suit and a $100 cash prize. !! !SPECIAL ANNOUNCEMENT !!! Winners will receive an automatic bid to NSC 2018 season. If winner has already qualified then it is awarded to 2nd place, and so on. More details HERE. Pattison’s West and Team Xtreme would like to thank all our sponsors. Please come and visit them at the Battle in Seattle. WHEN: December 9th and 10th, 2017. 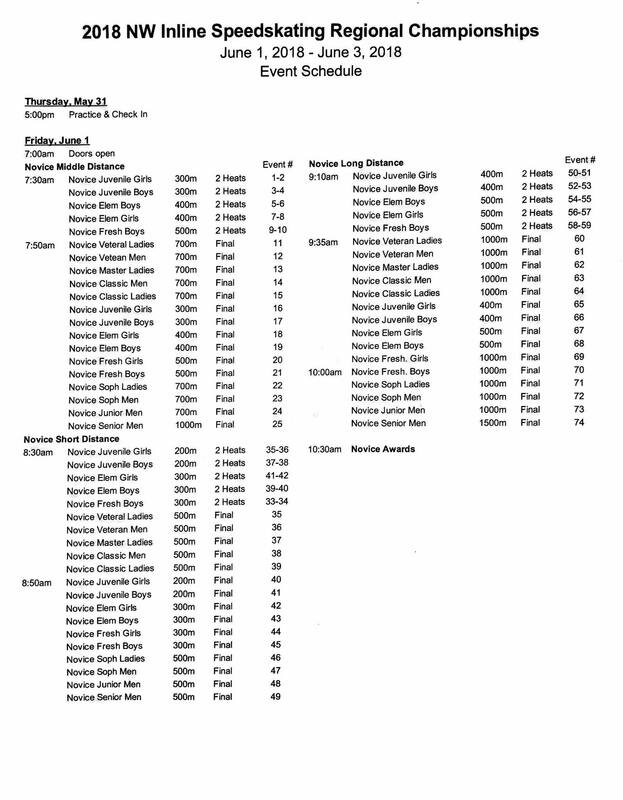 DIVISIONS: Novice Juvenile divisions and up. All Elite divisions except for Grands. 2-person relays except Primary and Esquire. 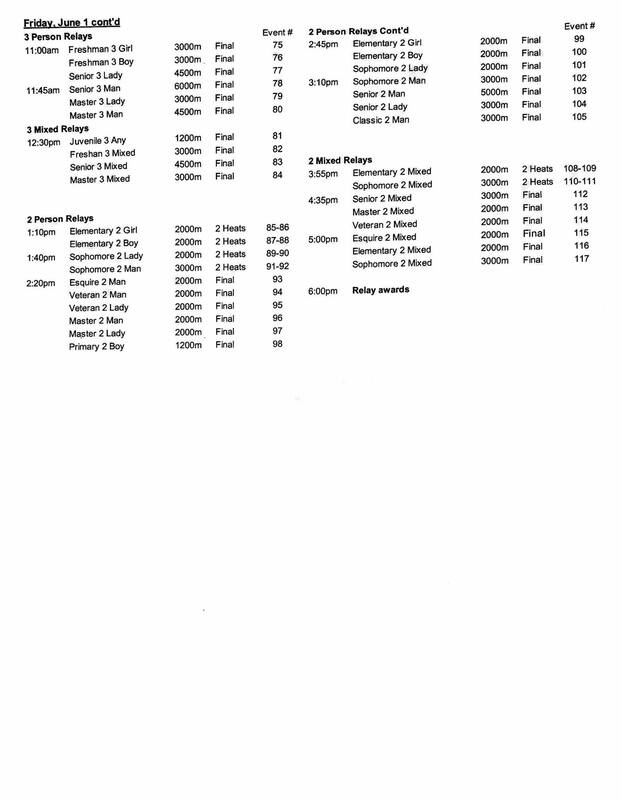 Events with 3 or less entries may be run with other events. ENTRY FEE: $30 for the first event and $15 for each additional event. $15 for relays only if not skating individual events. PRACTICE: Friday, December 8th, 5:00pm – 7:00pm Cost is $5.00. FLOOR SIZE: 800 x 1500 with new plastic. 8 skaters may be run on the starting line. DEADLINE: Entries received by Friday, December 1, 2017. Make one check payable to Skagit Skate. Please use our signup sheet. 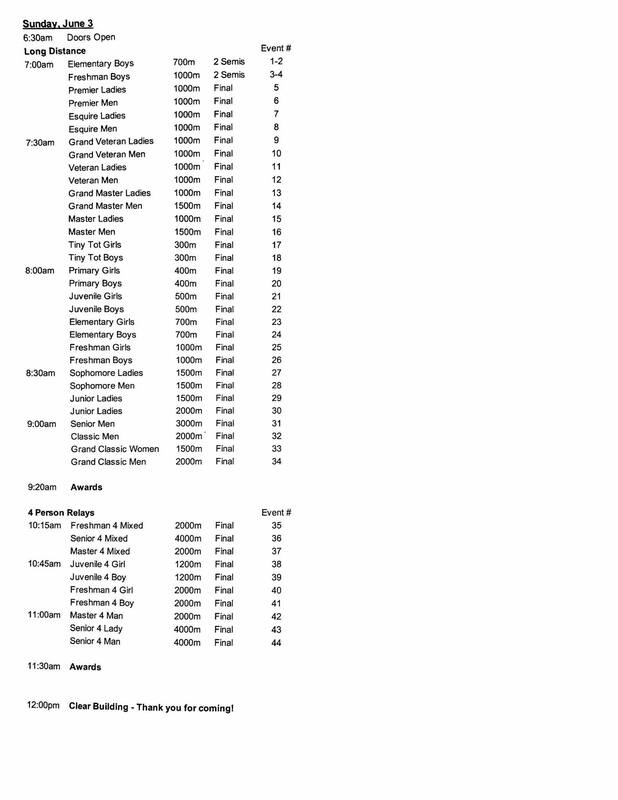 DIVISIONS: In Novice and Elite divisions, all 3 distance races will be ran. The long distance race will be a final and will be a rolling start if there are more than 8 skaters. Start position will be determined by order of points with the skater with the highest total in first and so on. Skaters without points will draw cards to determine starting position. RELAYS: Heat distance could be shortened to 20 laps to save time. DIRECTIONS: From I-5 take exit 230 and head East onto Highway 20. Turn right onto Burlington Blvd heading South. Turn left onto Cedar St. heading East. Skagit Skate is located on the right hand side of Cedar St.